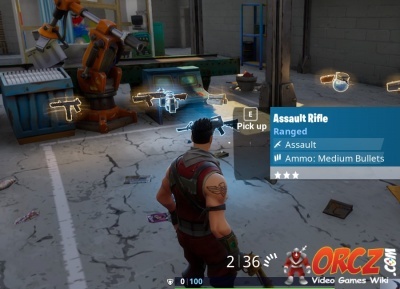 This page lists the colors for the gun rarities in Fortnite Battle Royale. There are five weapon rarities, with Common being the weakest whereas Legendary is the strongest. Legendary weapons (orange weapons) are EXTREMELY hard to find. Supply drops and chests greatly increase your chances for finding rarer guns. Legendary items are guaranteed in Supply Drops. The only two Mythic items to ever be included in Fortnite : Battle Royale are the Infinity Gauntlet and the Infinity Blade. This page was last modified on 31 March 2019, at 11:40. Content is available under Creative Commons Attribution Non-Commercial Share Alike unless otherwise noted.